Become a Kennedy Creek Docent! 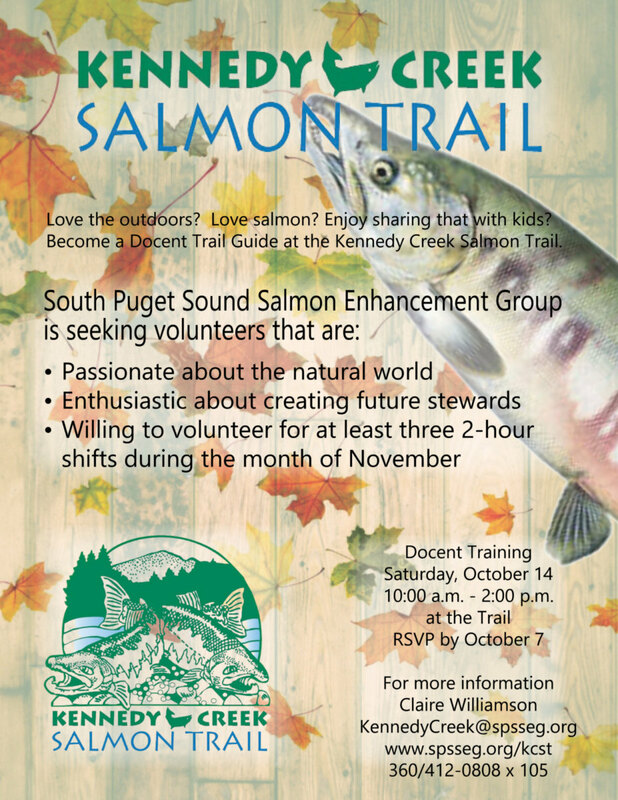 The Kennedy Creek Salmon Trail will open on Saturday, October 28 this year. Open through until December 3, the Trail offers an incredible learning experience for students and community members, bringing them face to face with wild Chum salmon. If you are looking for a volunteer opportunity for the month of November, we will be training new and returning Docents on October 14, 2017. To attend, please RSVP by October 7 to KennedyCreek@spsseg.org.